The full color display makes identification of individual waveforms easier, particularly when displaying large amplitude or multiple overlapping waveforms on screen. On-screen color labels, measurements and warnings are clearly linked to specific waveforms. The high-resolution, color screen and new Digital Persistance and fast display update rate mode gives you an even better view of complex wave-forms in the most demanding troubleshooting applications in the field. Safety certification: CAT III, 600V; CAT IV, 1000V. 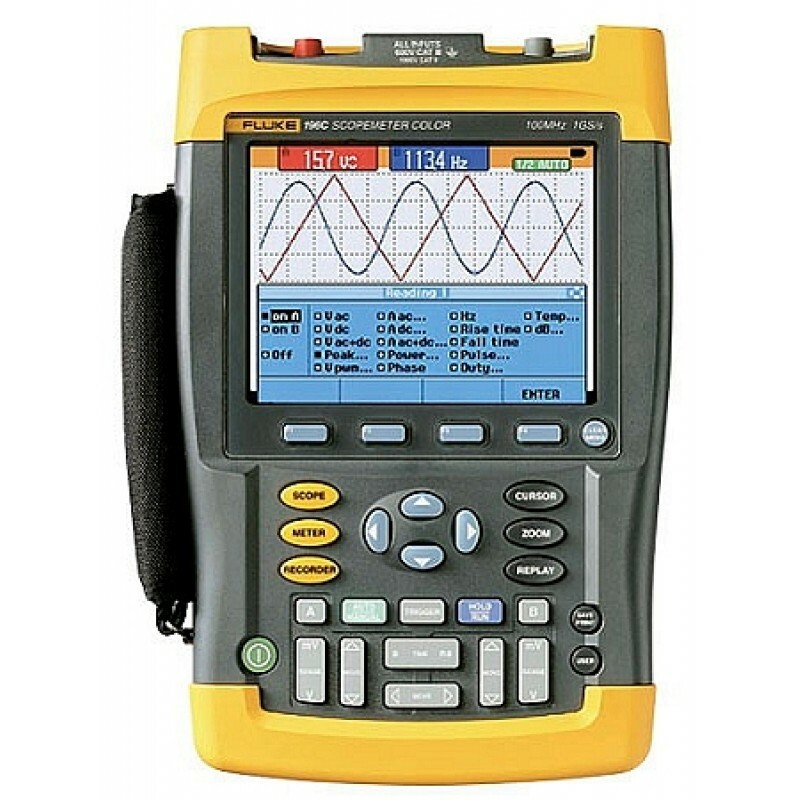 Meter with SCC Includes: Color Scopemeter, FlukeView® Software, PM9080 cable and case.